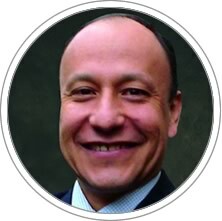 In regards to his professional experience, he has served as Senior Consultant in Catholic CENTRUM; Market Development Director at TIM Peru (now Claro Peru); General Manager at Michelsen Consulting, Ltd. in Lima, Peru and Buenos Aires, Argentina and Director of Marketing at CARSA, Peru. He has held teaching in major Latin American universities and the United States such as the King Graduate School of Monroe College, Fordham University and Columbia University in the United States; the Graduate School of the Pontificia Universidad Catolica del Peru; School of Business Administration Graduate ESAN ESAN University; and the Graduate School of the Universidad San Ignacio de Loyola in Peru; the Argentina University UADE and the Institute for the Development of Argentina in Argentina, among other company. He is currently Professor and Researcher in the Academic Area of Marketing, Sales and Social Responsibility in CENTRUM Catolica Graduate Business School.